CB radio and of course, blowing the horn. 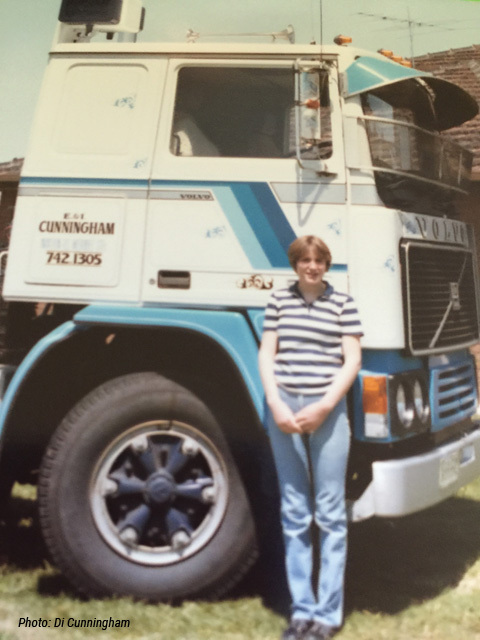 Di Cunningham has made a soundscape that can be played in the cabin, about the rich and fascinating world of trucking families. Told with insight and humour, these personal stories will leave you with a better understanding of the working lives of truckers from the West. The truck will be parked in the yard area of Seaworks. Trucker Tales is presented as part of Spark.